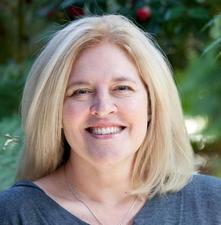 Image courtesy of the Woodward Park Adventure Camp website. Summertime is right around the corner, and you know what that means -- time to plan for your kiddos! Luckily, the Fresno-area has plenty of fun and diverse things to do this summer that is sure to capture your child's attention. We've compiled a list of local summer camps that are sure to intrigue and inspire your kiddos this season. Don't see your favorite included? Let us know in the comments and we just might add it! Courtesy of the Fresno Chaffee Zoo Facebook page. 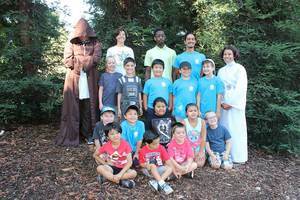 Every summer, the Fresno Chaffee Zoo provides a unique and fun learning experience for children of a wide range of ages. This can include learning more about animals through interactions, as well as through instruction. The zoo offers different options for different ages and interests. 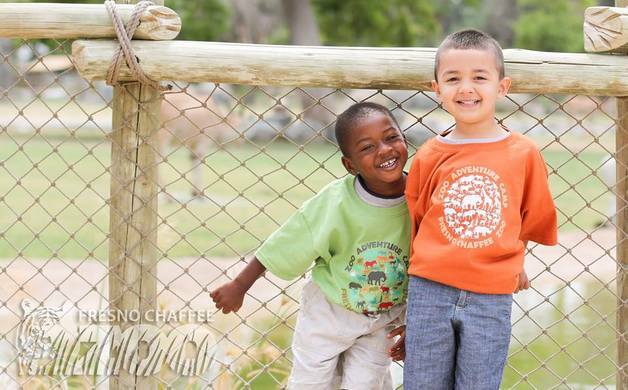 Visit the Fresno Chaffee Zoo website to learn more about the summer camps and pricing. Your adventures will include Pirate Day, Wild Wild West Day, Star Wars Day, Harry Potter Day, and Sports Day. 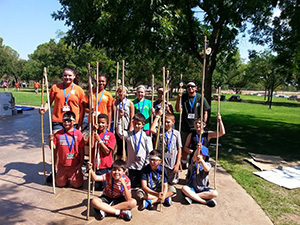 Camp Activities are based on the themes and include sports, games, crafts, science, and lots more! If you enjoyed the original Adventure Camp over the years, you will love the all new Adventure Camp 2. Adventures include: Mad Science Day, Superhero Day, Fear Factor Day, Water Day, and Camp Day. Theme based activities include sports, games, crafts, science, and lots more. Boost your campers confidence and independence playing and competing in the “Woodward Survivor” challenges. Our games center on teamwork and learning to take care of yourself. Teams compete against each other to gain points. Based on the television series “Survivor” – Outwit, Outplay, Outlast! A variety of sports, games, contests, and crafts will take place each day. Enjoy a week of action packed fun exploring the world of some of your favorite cartoon characters! Camp days include: Minions Day, Cars Day, Beach Day w/ Finding Nemo and Lilo & Stich, Toy Story Day, and Marvel Superheroes Day. 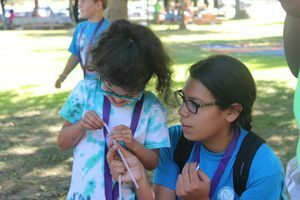 Camp Activities are based on the themes and include sports, games, crafts, science, and lots more! 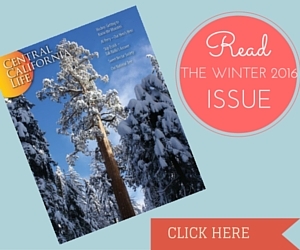 Courtesy of the Fresno Parks & Recreation website. Challenger Sports’ British Soccer Camp is the most popular soccer camp in the country based upon one of the most innovative approaches to coaching youth soccer in the US and Canada. Our experienced staff study the game at all levels and we have identified the key techniques and skills that your players need to work on and master to reach their true potential. With programs for each age, the curriculums includes a variety of foot skills, technical drills, tactical practices, freestyle soccer, small-sided games, coached scrimmages, and a mini tournament play. 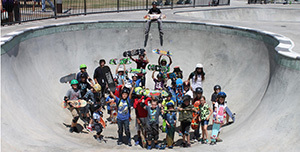 Skate camp will teach park etiquette so young skaters learn the importance of safety. Skaters will be exposed to skills; pushing, pumping, and carving are introduced to progress to the expert level. The times for the Skate camps is from 8 AM to 12 PM and is held at Todd Beamer Skate Park. Family friendly, fully equipped gymnastics facility with two spring floors, two trampolines, tumble track and 12,000 square feet of pure fun! With modern up-to-date facilities, an excellent staff of qualified coaches and appealing activities for children, Gymnastics Beat has been voted Central Valley's Friendliest young adults and Children's Gym! Courtesy of the Fresno Grizzlies' Facebook page. Want to learn from the pros? The Grizzlies Baseball Camp is the best place in the Central San Joaquin Valley to improve your skills in a fun environment with professional baseball players as instructors! 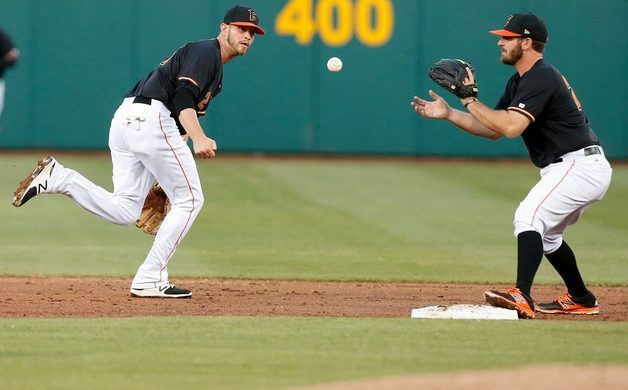 Boys and girls, ages 5 to 14, will have the opportunity to work with and meet Fresno Grizzlies players (Houston Astros prospects) and coaches during the two-day Fresno Grizzlies Baseball Camp in August. Day one will include a stretch-run-throw, offense and defense fundamentals, and hitting, while day two will include pitching and catching instruction, baseball games, autographs and an awards ceremony. Instructors include Grizzlies manager Tony DeFrancesco, Grizzlies coaches, and a group of Grizzlies players. Spend some time at the Bullard High Pool this summer! It’s the coolest place to be! Improve swimming skill and learn about water polo through Splash Ball. Splash Ball is a non-contact version of water polo designed to develop skills and have fun! Program Includes: • Learning water polo skills through the fun sport of Splash Ball! • Learning the four competitive strokes, starts, turns, and techniques used by Olympic swimmers. • Participating in short, organized competitions. • Receiving instruction and gaining experience that will build self-confidence and help participants be more physically fit. This program offers young people the opportunity to learn one of the most exciting, fast-moving Olympic sports from the ground up. Water polo has been compared to soccer in the water. The obvious difference is that you are moving through water and not air. That’s a good thing in Fresno during the summer! Movement through the water, defensive skills and positioning, ball handling, passing, shooting, and offensive positioning will be the emphasis of this program. Hear ye, Hear ye – Calling all princesses! 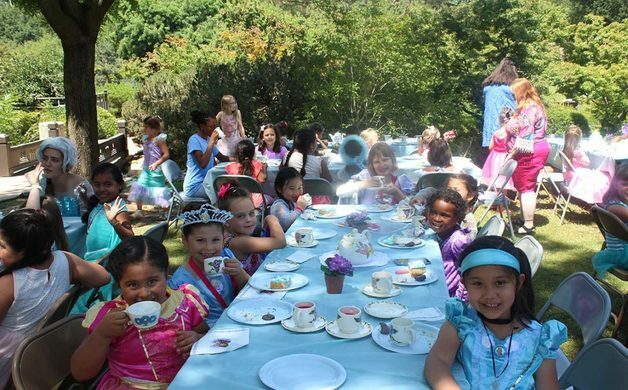 Join us for our all new “Adventures of a Princess” Summer Camp! Canoe with Princess Pocahontas, Join Princess Merida in archery, cool off with Princess Elsa and Princess Anna, Meet Moana, Disney’s newest Princess. Other Princess crafts & activities will include: Princesses Ariel, Snow White, Sleeping Beauty, Cinderella, Belle, Mulan, Tiana, and Elena. End the week with a photo session and tea party with our Royal Guests. Camp activities include games, science, arts & crafts, dance, and lots more! The Artist In Me holds weekly Art Camps all summer long. Every 5 days, Mon-Fri from 9am-12pm starting as soon as school gets out for the summer. The ages most appropriate for camp are from 5 years old and up. Their workshops are fun, lively, engaging and exciting. The visual art workshops allow students to explore their inner creativity. 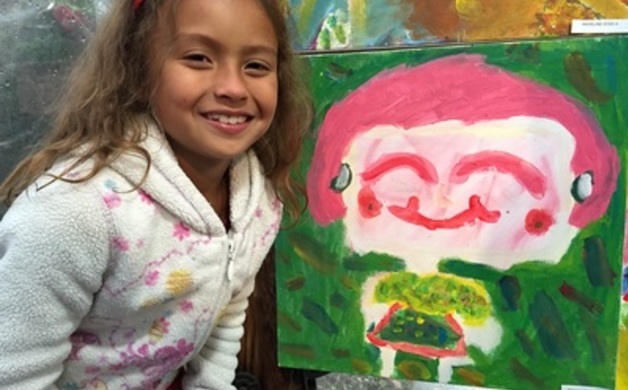 Art/theatre workshops teach kids all about stagecraft, story, and performance. Their goal is to help every child be engaged and successful and to foster a love for the arts, learning, and discovery. 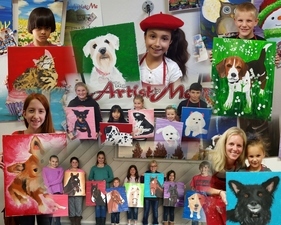 Past workshops have received rave reviews from both parents and kids! Milestones Summer Jazz Camp will take place on Monday, June 12 through Saturday, June 17 at Rio Vista Middle School in Fresno. In addition to a faculty comprised of many of the Valley’s best jazz educators and musicians, the camp will feature a number of nationally known jazz artists including Ari Hoenig, Wayne Bergeron, Peter Epstein, Tamir Hendelman, and Barb Catlin-Bergeron, all of whom will spend two days at the camp. Siblings: First camper pays the full fee; subsequent siblings attending together receive a 10% discount. For students entering grades 6 -12, ages 11 - 19 FPU summer music camp students study with outstanding university music faculty, students and other Central Valley professionals for a week of intensive music making and learning about music. We seek the development of personal responsibility, including effective practice habits, mutual respect and conceptual education, as opposed to mere rote learning. Explore drawing, painting, sculpture (including ceramic clay), swim, picnic, and play with friends. Dates: Monday - Friday; 9 a.m. - 1 p.m.